Rwanda’s drive to phase out the hand to hand cash payments in favour of retail electronic payments is paying off. The central bank governor John Rwangombwa announced today. Rwangombwa was presenting the Monetary Policy and Financial Stability Statement MPFSS2018. Central Bank statistics indicated that credit cards had grown from 172 in 2010 to 3,531 in 2017 but debt cards grew from 41,377 to 872,476 in the same period. By 2024, the Rwandan government targets to have pushed digital acceptance points to 324/100,000 from 37/100,000. The central Bank says all government payments will have turned exclusively digital at a rate of 100%. According to government, when this target in electronic payments systems is achieved, it will represent 80% of the Gross Domestic Product (GDP). “As a result of recent initiatives in the payments industry, retail electronic payments have increased over time to attain 26.9 percent of the Gross Domestic Product,” Rwangombwa said Tuesday. 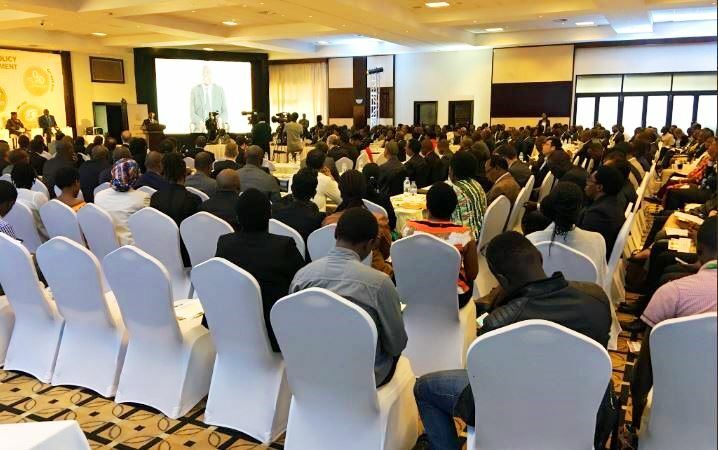 In his assessment of the financial sector performance, governor Rwangombwa said in 2017, the performance of this sector was shaped by the overall economic performance. The sector moderately performed in the first half (2017H1), but improved in the second half (2017H2). “The banking sector assets increased by 12.9% (y-o-y) as at December 2017 to Rwf2,685 billion, while the microfinance sector assets increased by 9.7% to Rwf 244 billion” the governor said. Meanwhile, with the growing campaign of extension of banking services to remote parts of the country, “banks’ deposits increased by 12.6 % in 2017 from 7.8% in 2016,” says Rwangombwa. According this statement, the value of transactions on interbank market increased by 5% from Rwf 443.9 billion in 2016 to Rwf 466.1billion in 2017. In line with the improvement in weather conditions especially during the second half of 2017, food inflation dropped to 9.8% in 2017 from 10.7% in 2016 as vegetables inflation declined to 9.5% from 20.1% during the same period. The statement also forecasts that in this year there is room for continued accommodative monetary policy to support the financing of the economy by the banking sector. Outstanding credit to the private sector is forecast at 13% while M3(money supply) growth is projected at 14%. However, the central bank says it will continue to monitor key macroeconomic developments to decide on the appropriate monetary policy stance. The central bank says it will continue to strengthen liquidity forecasting to facilitate the use of the interest rate based monetary policy framework. The financial regulatory institution is planning to shift to a more forward-looking price based monetary policy framework to further improve the effectiveness of monetary policy.